The Invacare Top End Excelerator Handcycle is the perfect option if you are looking for a fun and unique exercise machine. This adult handcycle offers a travel ready frame that easily transfers. With a weight capacity of 350 lbs., many can benefit from this exercise option. Standard safety features include full chain guard, reflectors, footrest safety straps, safety flag, cushion and seat restraint. 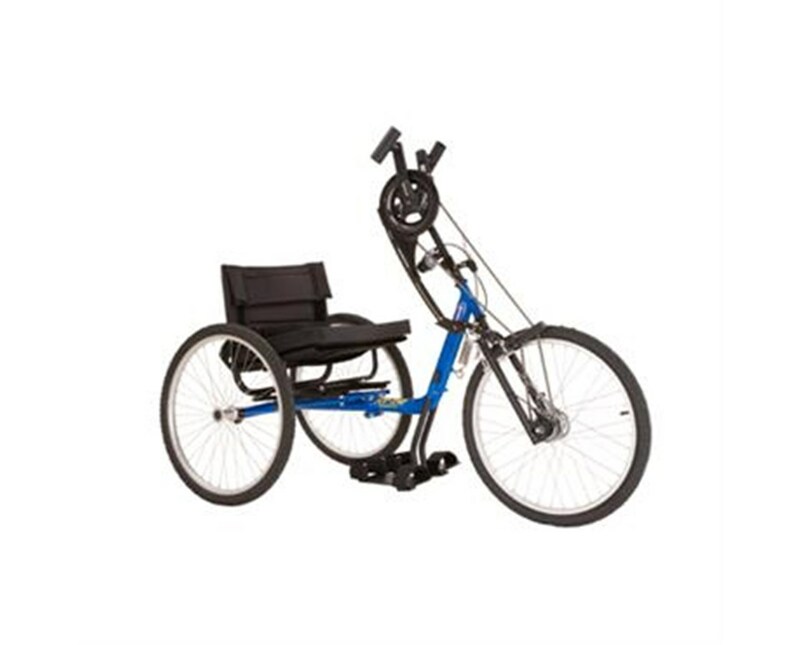 The handcycle is equipped with seven available speeds, a reversing drum brake that provides hands-on braking, and cruiser tires, to allow for riding on level or hilly terrain. An easily adjustable seat, footrest system, and crank support makes this handcycle adaptable for almost every adult. The seat is available in 16", 18", and 20". Please select your preference from the drop down box above. 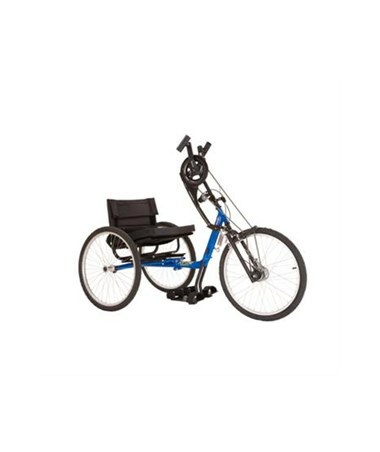 This expertly made handcycle has a 2 year warranty on the frame and a 1 year warranty on the parts to ensure that any difficulties that may arise will be quickly and efficiently resolved. Various options are available to customize your bike to your specification. You can note your selection in the "special instructions" at the checkout.